Norm Skaggs ("Decoration Day", "Shadow of a Doubt", "Chrome Soldiers", "the Flood" and "Getting Out"
Joseph Sargent ("Miss Evers' Boys", "The Marcus Nelson Murders", "Love Is Never Silent", "Miss Rose White", "Caroline?" Another invasion from BookWorld will arrive in the Toobworld Dynamic, but not into the dimension of Earth Prime-Time: "Childhood's End", a classic science fiction novel by Arthur C. Clarke, is being adapted into a six hour mini-series by the Syfy channel. The novel tells about the arrival of a race of aliens known as "The Overlords" who provide a Utopia on Earth - and all the Terrans have to do is surrender their identity and cultures. 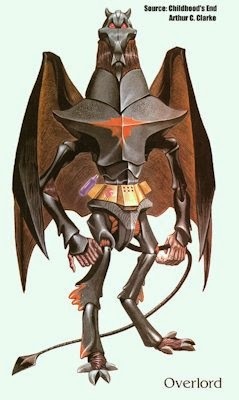 The only major casting news at this point is that Charles Dance will be playing the Overlord ambassador, named Karellen. He is a master in the use of comforting words (something Dance was a master at in 'Game Of Thrones'), and he wins the approval of the human population at first. But after a few decades, the people grow restless and the fact that Karellen won't reveal his true appearance eventually inspires a rebellious backlash against the Overlords. The main Toobworld has always found room for adaptations from BookWorld - "The Winds Of War", "Pride & Prejudice", the Sherlock Holmes novels, "Little Women", "Huckleberry Finn", "War And Peace", the aforementioned "Game Of Thrones" books (collectively known as "A Song Of Ice And Fire") even if that series takes place on Earth's twin planet of Mondas. But "Childhood's End" would seriously jeopardize the basic timeline for Earth Prime-Time and so, like the TV series "Defiance" just recently, it must be relegated to its own dimension. "GEORGE AND GRACIE GOING TO THE OPERA 'CARMEN'"
Mr. Vanderlip said you were a music critic. Now just what do you do? and I go and cover them. Oh? Oh, you're just being sensitive. but you couldn't cover more than one seat. Mrs. Quigley wrote a newspaper column about opera for one of the Los Angeles publications. I'd like to think it was either the L.A. Tribune, the L.A. Sun, or the L.A. Chronicle. But Mr. Quigley wasn't there and there was no indication that he even went to the opera. We can't splain this away by saying that Mr. Quigley was dead or that they were divorced. 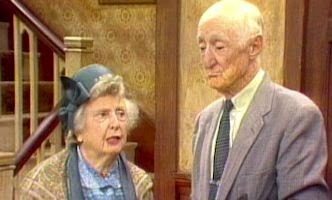 Mrs. Quigley mentions to George that she and Mr. Quigley enjoy watching the Burns and Allen TV show. 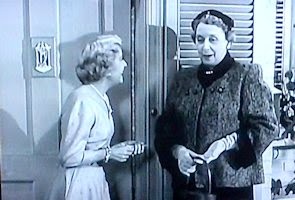 But after the episode, the only one in which Mrs. Quigley appears? 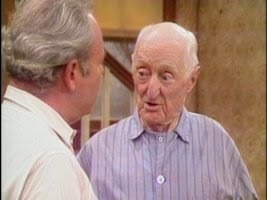 I believe that if we had seen Mr. Quigley in that Burns and Allen episode, he would have been named Justin and he would have been played by Burt Mustin. I think it was Mrs. Quigley who passed away and after she died, her husband moved back East where he was from - to New York City. 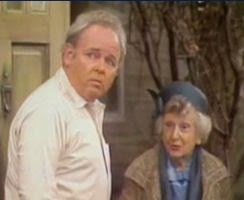 Eventually, Justin Quigley moved into the Sunshine Home for retirees in Queens, where he met Edith Bunker who volunteered there. Quigley ran away from the home and he was taken in by the Bunkers - over Archie's objections of course. But Quigley reassured him that his friend Joe Nelson was coming to get him and they would move in together. That made Archie happy... until he found out that Joe Nelson was actually Jo Nelson - Josephine Nelson. After the birth of their son Joey, Mike and Gloria Stivic adopted Justin and Jo to be their honorary grandparents so that Joey could have more family than before. Sadly, Jo Nelson died just over two years later. Mr. Quigley surrendered to the inevitable and returned to the Sunshine Home where he remained until he finally passed away in 1983. When Paul Bryan introduced his table companion to his old friend Ramon de Vega, he stumbled hesitantly over her name: "Ingrid... Svenska." Ramon recognized her, however. And Paul's use of a code name to serve as an alias probably couldn't fool anybody. Svenska is the native language of Sweden and parts of Finland. And as we learned that Ingrid was a princess in one of Europe's last ruling monarchies, I think it's safe to say that she was a member of Sweden's Royal Family... if only in Toobworld. Princess Ingrid was probably a cousin, a member of the "kungliga familjen" - part of the extended family not recognized as royal by the government and who does not carry any official duties for the monarchy. Nevertheless, Princess Ingrid had to observe the state rules of protocol which dictated her life. Princess Ingrid is not the first fictional character in Toobworld related to actual people from the Real World. 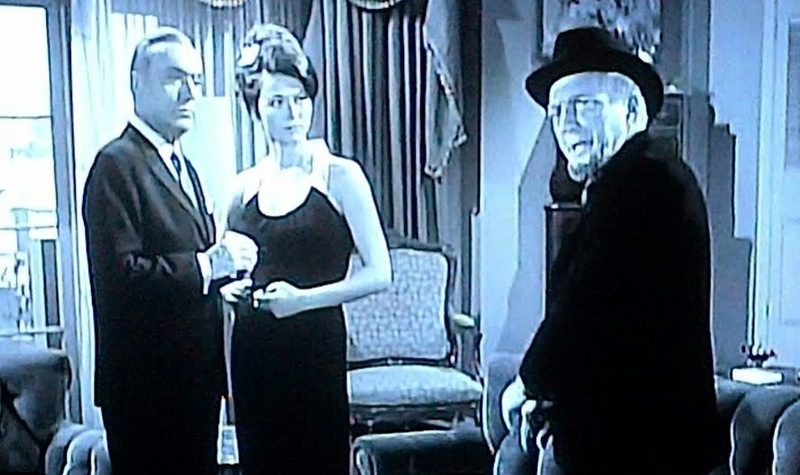 Megan Russert (Tim Russert), Vera Gorman (Art Carney), and Sherlock Holmes (Horace and Claude Joseph Vernet) are some of the others who hold that distinction. The Television Universe has plenty of abnormalities that mark it apart from the "Trueniverse". Androids, aliens, talking animals, new nations, etc - it makes me laugh when politicians complain about how a certain situation from "Earth Prime" is portrayed in "Earth Prime-Time", because it has no bearing on the original. One way in which Toobworld differs from the real world is in the use of "reruns". Not the type of reruns we expect from our TV shows, but in the carbon copies of people and situations that arise from TV show remakes sharing the same world as the original TV series. In case that's confusing - Sorry about that, Chief! - here's an example: Earth Prime-Time has a proliferation of remakes for the Columbian TV show 'Betty de la Fea', including the American version 'Ugly Betty'. One might expect that each of these remakes would be sent packing to some other TV dimension, but there are enough differences - names of characters, companies, and definitely locations! - to allow them all to remain in Earth Prime-Time. The same goes for all of the international 'Office' clones as well as 'All In The Family' and its British inspiration 'Death Do Us Part'. Sometimes if enough time has passed between the lives of such replayable character types, I make the claim that it is a case of reincarnation with them reliving their lives. My best example of this would be aristocratic Ross Poldark and his gypsy wife Demelza of Cornwall. Two centuries later, they were reunited in San Francisco as uptight yuppie Greg Montgomery and his hippie wife Dharma Liberty Finkelstein. I've also noted "bleed-throughs" from other fictional universes, and a good example of this would be the characters from Dashiell Hammett's "The Maltese Falcon". This classic detective novel is better known for its second movie incarnation with Humphrey Bogart but it has never been adapted for television, not even during the heyday of movie adaptations in the anthology TV series from several of the major movie studios. However we have seen the archetypes of those classic characters played out in Toobworld on several TV shows including 'Get Smart', 'It Takes A Thief', 'Star Trek: The Next Generation'. Usually it comes down to the bad guys being the overweight mastermind and his weasely accomplice, sometimes with a hired gun and a femme fatale in tow. 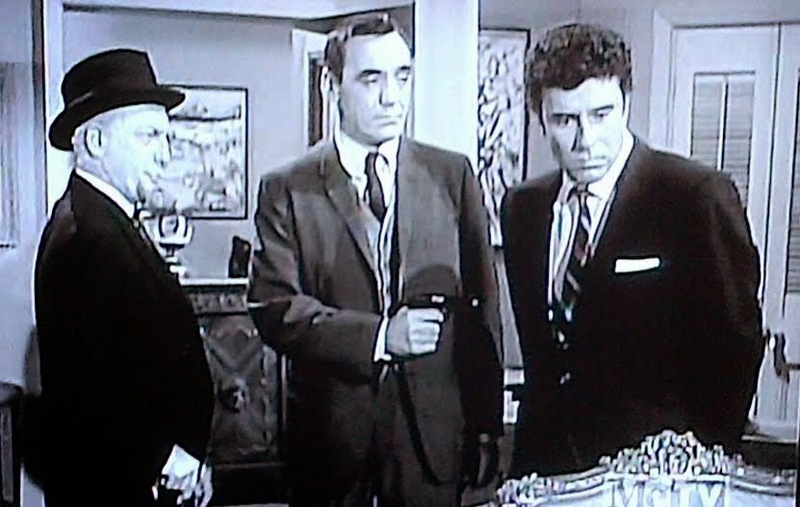 Although they didn't resemble the Gutman, Joel Cairo, and Wilmer the gunsel from "The Maltese Falcon", we did see those archetypes in an episode of 'The Rogues' - "The Laughing Lady Of Luxor". The MacGuffin, the object everybody was chasing, wasn't a falcon statue, but a bas relief portrait of Cleopatra which was a cheap copy. However, the wire used to hang it on the wall was a recording of top secret information smuggled out of the Soviet Union. They may not have looked the parts, but they served the same functions as the characters in the book and in the movies. LITTLE BIG SCREEN - "THE PINK PANTHER"
The year is winding down for our look "Little Big Screen" theme about the connections between Toobworld and the movies. And on November 6th, two different series shared their riffs on the classic slapstick film that spawned a franchise about the French police inspector, Jacques Clouseau - "The Pink Panther". In what may be the over-riding arc for this final season of the show, con artist Neil Caffrey and his FBI handler Peter Burke hatched a plan to infiltrate a gang of high-stakes thieves who called themselves the Pink Panthers. O'Bviously they took their inspiration from the movie. And even the tie-in merchandise (mostly from the cartoon spinoffs based on the movie credits) have been seen in Toobworld, most notably a stuffed Pink Panther doll owned by 'Mr. Bean'. At one point during Claudia Donovan's career with 'Warehouse 13', she asked "Are these the Pink Panther's calling cards?" Forgive her; she's young. She was probably referring to the cartoon character, but she could easily have meant Inspector Clouseau in much the same way as a previous generation thought "The Thin Man" referred to William Powell as Nick Charles when in fact it was to the murder victim in the first movie. After all, diamonds are forever. It's that time of year again, when we all make lists and think back over the past year, in whatever field of interest concerns us, and chronicle the high points and the lows. For the past few years I've been presenting this compilation as an awards show, the Toobits, which of course celebrates my two bits about Toobworld. "Best" is a relative term here, but when Cam and Mitchell's wedding was interrupted due to a wildfire, several wildfires were in fact blazing across the area. MOST TRIVIAL CLASH BETWEEN TOOBWORLD & THE REAL WORLDThe Lakewood Shopper, an Orthodox Jewish newspaper from Lakewood, New Jersey, reported the capture of Mexican cartel leader Joaquin “El Chapo” Guzman’s capture. PIERS MORGAN: How do you spend your life when you’re not working? What would be your life here be this week? What will you do? CHELSEA HANDLER: Well, I am working this week. MORGAN: After the show, where do you go? What do you do? MORGAN: What is nonsense? It's designed to flag your tawdry book. HANDLER: ... and then I go on the road every weekend and perform live stand-up comedy and do book signings and you know, that's it. I'm just -- I'm a workhorse. I'm a workaholic. MORGAN: You tweet very amusingly. HANDLER: I wish you did. I mean, in the middle of the commercial break, I want your viewers to know, I mean, they must know because they're probably following you on Twitter. I mean, you can't even pay attention for 60 seconds. You're a terrible interviewer. MORGAN: Well, you just weren’t keeping my attention. That's more of an issue for you than me. HANDLER: Well, but that’s not my problem. MORGAN: What is your problem? HANDLER: This is your show. You have to pay attention to the guest that you invited on your show. MORGAN: If they’re interesting enough. HANDLER: Yeah, listen. It doesn't matter how interesting I am. You signed up for this job. MORGAN: Of course it does. HANDLER: Well maybe that's why your job is coming to an end. cut off the movie... MY people never made it to the promised land. Alan... I have to say, I'm disappointed your stance has softened with that "It's their show, it's their story," stuff. In art, and I look at television as an art form, the art never belongs only to the artists, but to their customers, patrons, fans, etc as well. We invested over 4500 hours of our lives in original viewings. Some of us have purposefully watched the show again and again on Netflix, or when flipping the channels between 4pm an 8pm or 11pm and midnight. This was OUR show as much as it was there's. And there was an inherent promise they made with this show, which instead of keeping, ripped-away from us with a cheap, tin-eared bait-and-switch maneuver so vile, it would make a used car salesman proud. As you eloquently stated Monday night, the last nine years of our lives, 24 Mondays a year, was a giant con job by Bays and Thomas. They do not deserve understanding. They do not deserve empathy. They deserve derision and they deserve to be called onto the carpet for the horrible decisions they made that absolutely ruined the entirety of this show in perpetuity, and wasted NINE YEARS of all of our lives. I will do everything I can to make sure no one I know thinks about watching the show on Netflix, and I will actively campaign against How I Met Your Dad and try to ensure it doesn't see a second season if its actually picked-up by CBS. Bays and Thomas, those sonovabeetches, are dead to me. I'll never watch anything they ever have a hand in creating again. BEST EXCHANGE OF DIALOGUESherlock Holmes: Imagine someone's going to get murdered at a wedding. Who exactly would you pick? Mrs. Hudson: I think you're a popular choice at the moment, Dear. 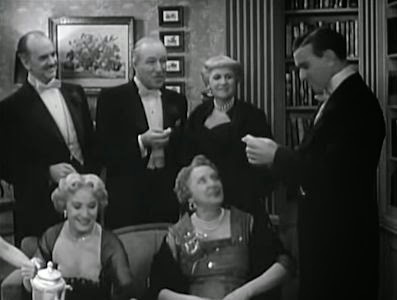 Sherlock Holmes: If someone could just move Mrs. Hudson's glass out of reach, that would be lovely. "In this universe, we process time, linearly. Forward. But outside of our space-time, from what would be a fourth-dimensional perspective, time wouldn’t exist. And from that vantage, could we attain it? We’d see, our spacetime would look flattened. Like a single sculpture with matter in a superposition of every place it ever occupied. Our sentience just cycling through our lives like carts on a track. See, everything outside our dimension, thats eternity. Eternity looking down at us. Now, to us, it’s a sphere. But to them, its a circle…." Come on, Murray! A very special "love boat" is almost on! They're docking at "fantasy island"! They're crossing over! Oh, my god! That's unprecedented! All right. Gimme the remote. What? I thought you had it. I just came in the door! Why would I have a remote? I-I don't know. I figured you took it to work. Why would I take the remote to work? Who the hell knows? You're a quirky guy. Fine. I'll use my hand like an animal.- Where's the knob? Do you mean this knob? I'm so sorry. Are you missing something historical? Perhaps a crossover event of your two favorite shows that you'll never see, and it will haunt you for the rest of your life? No. You took something I love. Now I'm taking something you love. Well, what about me? I'm just an innocent bystander! Sorry, pops. Wrong place, wrong time. But I got to see this show! Tattoo and Gopher in the same room! How's that gonna end? You are grounded, moron. Six months! BEST TV COMMERCIAL MUSIC:Lifestyle Lift - It sounds familiar as if I should know it, but I'll be damned if I know the name of the song. On board the spaceship "Ascension"
THAT OVERNIGHT GLOBAL FOREST? SPLAINED. WHO-VIDS: "TRILOGY OF THE DOCTOR"
ALF MOTT, BROTHER OF WILF? THE DOCTOR VISITS "TOP GEAR"
WHO VIEW - THAT VICIOUS ZONK!